We always knew Super Mario Odyssey was going to be a big game, what with its numerous kingdoms and all that good stuff, but until the most recent Nintendo Direct we didn't know just how big. At one point during the presentation it could be seen that one of the many worlds you'll get to explore - called the Sand Kingdom - has a total of 69 Power Moons to collect in just that Kingdom alone. After a quick bit of so-called research and so-called maths, we've managed to determine that with a conservative estimation of 60 Power Moons per Kingdom, 9 confirmed Kingdoms and one additional Kingdom leaked on the packaging for the Mario and Peach wedding amiibo, there must be at least 600 Power Moons to collect. It gets even crazier when you consider that all previous mainline 3D games in the Super Mario series had either 120 or 121 Stars or Shine Sprites to grab, meaning the latest entry in the series has more primary collectibles than all of these previous entries combined. If you want a more detailed rundown of how we reached this number then make sure you give the video above a quick watch. It's not long, and we've been told it's quite entertaining. Sorry Zelda and Splatoon - This is easily my GotY if not Game of the DECADE! It looks like an absolute JOY to play and I will be collecting every single moon. Best Zelda and best Mario in one year? I hope so. Will a Moon Mask be part of the DLC? Holy crap. This game alone is going to keep me occupied for quite some time. Glad I'll be able to take it anywhere. Goodness... what is up with the huge collectothons? I have only like 387 seeds in Zelda. I won't be 100%ing this one either I guess. It's hard to avoid spoilers when it's in the headline. Still, someone else was bound to blurt it out. It was impossible to avoid that BOTW had 900 Korok seeds. 900 Koroks > 600 Moons. @MegaTen Someone will make you a steaming coil again. I imagine that will be Wario's cameo. @SLIGEACH_EIRE Or in Nintendo directs. I don't even know where this is going anymore. So that means there is still around 10 kingdoms we have yet to see. One of wich is the mushroom kingdom and koopa kingdom. The hype train is going like crazy this time around. Nintendo Switch: the saviour that will pull Nintendo right back out of the ghetto. Altogether now: AH HA, AH HA, YEAH! This game is getting me even more hyped than breath of the wild...and I was waiting outside my gamestop for breath of the wild. I haven't allowed myself to get too excited but now I'm well hyped !! Ya it looks like they combined the idea of the blue coin from sunshine with the idea of the star/shine from 64/sunshine to get a single collectible for Odyssey. I think this is the most excited I've ever been for a game. Ever. Nintendo Direct: "...and if you collect them all, something cool might happen!" This game is going to keep me occupied for a long time. Who needs a reward when your playtime says 'Super Mario Odyssey - Played for 200 hours or more'? I really hope it at least beats BotW in completion time. And I'm usually the opposite of a completionist but collecting ... stuff seems to be basically in my DNA from all the 3D platformers I played as a kid. Absolutely cannot wait to get my claws on it. If there's no Bean Kingdom or Waffle Kingdom I'll riot. As long as they're easier to track and more incentivised to collect than the blue coins in Sunshine and Koro Seeds in BotW, I'm good with this. This feels like one of those quantity over quality things, similar to how it was in BotW. While it's nice to brag about numbers, these types of arrangements tend to dull quickly and lose value. Hopefully that isn't the case though. I don't know if I buy the idea that they'll all have at least 60 just because one of them has 60+. Some of the "kingdoms" could be quite small and have only a couple, potentially. Kind of like how in the video, just as Alex talks about how "every stage in Super Mario 64 has the same number of Power Stars," it shows a clip of Peach's Slide, which has only 2 (which I assume was done on purpose as a joke?). @MariOnline You don't. It said so in little type under them during the direct. @MegaTen I guess we will see when the game drops. I tend to think these will be more interesting to find than the Koroks, which were very repetitive. @LUIGITORNADO Not sure on the Bean Kingdom but I think one of the themed kingdoms has waffles (dessert I believe). EDIT: Nevermind, there's a Luncheon Kingdom but there doesn't seem to be a dessert themed kingdom from what I can see. It amazes me how some gamers beautify length so much. Are all moons created equal, and at some point does it matter? If each world did have around 60, and you only needed say 20 from each world to continue to the next, can you find the easiest 20 and be done with that world and move on, or will there be required moons hidden away or defended by bosses that you must defeat? korok seeds were all created equal if I remember correctly. I'm not sure you needed even 1. You needed the first 4 shrines but I suppose you could skip the rest, but you'ld be very low on health. I think I did 115, I knew were 3 more were but couldn't solve, 2 I never found. Everybody complains about the 900 korok seeds in BotW but the first few hundred were important as they were the only way to get more slots in your inventory. I felt like I had plenty of slots after getting about 250. I can't imagine a Mario game would require you to gt more than half to reach the final battle, or wedding as the case may be, so I'd be curious what each additional 50 or 100 would get you, if anything. Probably nothing. If there are around 600 I'm guessing I max out around 400-450, depending on how well hidden and difficult the final special world turns out to be, never been any good at any of those in any Mario game. 600 is a good number. @MegaTen The reward for collecting all moons will be a free trip to the actual moon with Samus Aran's spaceship. 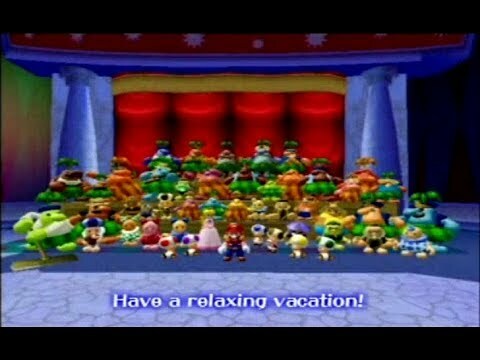 @rjejr The main problem is not necessarily how many you need to beat the game, after all you only needed 70 stars to beat mario 64, it's that it seems like unnecessary bloat. For someone who wants to 100% the game it quickly becomes a chore and ceases to be fun. It's just more fun to have fewer but quality ones instead of a huge quantity that quickly becomes a chore. I don't understand the article. What has the amount of collectibles to do with the size of a game? The text says there are around ten levels. Okay Nintendo, don't you think your going a little too far with the collectathon crap? @MegaTen Will Mario show something else as the final reward? I would say I can't get any more excited for this, but I'd probably prove myself wrong within a week or two. Every 3D Mario game had some easy to get Power Stars. Not every Power Star/Shine always had to be a huge objective. Super Mario 64 has a few examples where some are just "lying around the corner". In Super Mario Sunshine a couple Shrines were always just hidden somewhere in the level. I think the Power Moons will be very balanced. We all know you get Power Moons for solving challenging platforming sections, for defeating bosses, for solving puzzles, for doing extradeep exploration, for winning races and other minigames, etc. Can't wait to complete Mario's Mission Notebook. More the merrier but what's with these moons anyway, why'd the stars get demoted? @Yorumi I've never understood 100%. Trophies. Achievements. It's a game, play it as long as it's fun, then stop playing and watch the "good" ending on Youtube. Ok, I'm joking about that last part, but 100% is beyond my comprehension. If it's fun do it, if it isn't, don't. There are way more important video game issues for me to worry about - DLC, season passes, microtransactions, amiibo, glitches, game stopping difficulty spikes. Did anybody ever collect every chip piece in SMG? Must have been millions of those. If people are that concerned about too much to do in agame, well for me that's a benefit, not a detriment. Unless Nintendo does something stupid, like you can only play as Luigi if you get all 600. THEN we have an issue. But I can't imagine they would lock anything behind all 600 moons. They're just time wasters. @rjejr It's basically a quality vs quantity argument. The problem is quantity can at times over shadow quality or be used as a replacement for it. For example lets imagine there are some really really clever moons, say 50 of them. If you only need say 200 or 300 you might never even conceivably run across the good ones and just collect 200 boring items. It's possible the game would be a whole lot more fun collecting those 50 clever ones than 500 boring ones. Whats worse is when there's so many they tend to be less intentionally placed and more just scattered around with little thought. In that case it would be more fun to have 50 hand crafted "levels"(the moons) than playing 500 pick up. That's the way the koroks were for the most part. I'd rather have had to use the environment and physics engine in unique ways than finding a bunch of stupid rock circles. I'd be just fine if this takes about 100 hours to complete, just to unlock a Yoshi to use through the game or something crazy to keep things going. @Yorumi Just having 50 handcrafted levels would be a whole different style of Mario than a sandbox game though. 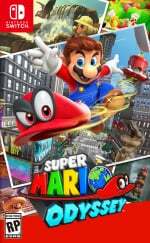 You'd be looking for something more like Super Mario 3D World(which has 93 not including the Captain Toad, Mystery Box houses and enemy blockades). With a Sandbox game most players aren't really expected to 100% complete it. What missions you complete and the order you complete them is supposed to be unique(well with the exception of Sunshine for some reason that forces you to do things in order) for each player so the number of collectables have to be high enough that players can both have their own experience but also be able to stumble across enough of the collectables to progress through the game. On a similar note there's likely 900 Korok seeds in BOTW to ensure regardless how you explore you're likely run across bunch of them in a playthrough and will be able to upgrade your slots, too few and with tougher puzzles and a player might not even get 1 seed. @Dr_Lugae the reason level was in quotes is because I wasn't intending it to be used literally. What I meant was putting them in interesting locations, behind platforming puzzles and things like that. Keeping the sandbox nature and all. I was just using 50 as an example. To allow people to play their own way it would be good to have something like 120 moons and 60 are required much like previous 3d mario games. The point is just that if you're picking up moons like koroks it's going to get dull fast. For me I was done with koroks after about 50. After that I'd pick them up if I happened to run across obvious ones but it was just too tedious. That's just not a good way to design a game. @Yorumi I see. Odyssey isn't exactly like the old 3D Mario games though. The previous 3D Mario games had pretty small worlds compared to Odyssey though. Not to mention Sunshine in particular was pretty pushy about the progression and required you to complete 49 specific missions to beat the game. In Odyssey of them are obviously going to be more mundane than others but if they spread enough around they'll make exploring the world just as important to progression as completing specific missions. Which would allow for more playstyles and ways to progress through the game than say just straight up beating specific challenges and missions. So I disagree with the idea its a bad way to design a game. I didn't collect all the Korok seeds either but if there were 450 instead of 900 I simply would have ended up with even less, if there were exactly as many in the game as I ended up collecting I likely would have ended up with even less than that given it would be likely most the ones I collected wouldn't have even been in the game. There's merit to producing more content than the typical player would collect/complete. Not a good sign IMO. I don't think they're going to get anywhere close to making 600 memorable moons. They're probably gonna be Korok seeds 2.0. I think the game is gonna suffer pretty badly for this, unless they've been brainstorming on moon ideas for years. I guess this is Nintendo trying to make every game be playable in bite-sized chunks for those portable players out there. From 600 Moons, I believe Only certain amount of Moons (let's say 300 - 400 ) that required to continue the storyline. So, the rest of the Moons you have to find out Optionally. @Yorumi That was kind of the first question I asked - are all moons created equal? If each world has 60, but you only need 20 to progress, and 20 are just laying around while 20 are behind bosses, well that kind of messes up the game play if you just want to barrel thru. However, if say 120 of those 600 are more like obstacles that are removed for puzzles you have to clear to move on, well then that's ok. It really depends on how they implement them. This being a 3D Mario game that looks like it took the best parts out of all the earlier 3D Mario games - N64, Sunshine, Galaxy - well I'm optimistic that they'll figure something out that will keep the game from being too easy, too hard, or too monotonous. This is the game I'm buying a Switch for, I have to believe it's going to be good, number of moons doesn't matter, they'll work it out somehow. I still don't have all the stars in Mario 3dworld and now this. Atleast I will be able to take game everywhere. But as someone mentioned, there could be missing worlds that haven't been announced. @rjejr @Dr_Lugae I'm still overall optimistic about it and looking forward to the game. I just do fear it's korok seeds all over and the memorable ones will end up skipped in favor of the easier, forgettable, and tedious ones. We'll see. I've been cautiously optimistic about this game but after the Direct my hype is through the stratosphere. Even if we don't count Luigi's Stars in SMG, you're still wrong. Only 6 weeks away boyz!!!!! People are making too many assumptions. Yes, we saw a couple easy to get moons - previous titles had a couple of easy to get stars here and there, never enough to complete the game without mainly doing the more beefy missions. No one says this is the quality of Korok "puzzles", in fact it's a different concept entirely as it wasn't expected of players to complete them all (hence the reward being literal crap), the simple reason for so many was so players didn't have to actively look for them to upgrade their slots. Either way this is good news to me, I finished SMG in a few days, I'd like a beefier Mario title. @invictus4000 we need time machine! One youtuber that played the game yesterday at NoE's headquarters in Frankfurt said the amount of moons varies wildly between levels and that some of them have way less than the desert level's ~60. So is collecting these the main aim of SMO or just a little side quest like the Korok seeds? There aren't actual levels that give you a reward at the end like 64/Sunshine/Galaxy, right? I really hope shirtless Mario becomes a token image used by certain websites when they talk about Odyssy just like Bathroom Gerard in the Witcher 3. I truly cannot think of a time I have been more excited to play a video game. I have a 12 hour flight set for November 1st and an Anker Powercore battery (21 hour switch charge time!) ready for action! @rjejr I believe you get a triple moon for defeating bosses. But still, I am curious if they have to be defeated. If this game can manage to incorporate the difficulty curve from Galaxy (maybe shift the ratio a little more to the tough challenges for my taste) Super Mario 64 openness and that number of collectibles/missions, it will be amazing and I will just love it to bits. GotY is a tie between BotW and SMO. I don't care which one wins, as long as I get this beautiful, beautiful game. Overhyping much? For all we know, some kingdoms may only contain 30 or 20 moons. Keep your expectations in check, guys! @NickOfTime90 "triple moon for defeating bosses"
Well that's something right there, shows they gave it some thought. Hopefully they've all been playing Zelda the past 6 months so they know how to make things work, and not work. 900 korok seeds was a bit much, but I thought they did a pretty good job with the 120 shrines. @rjejr Yeah, the 3 moon mechanic seems smart. The shrines are okay, I'm still bummed out by them replacing actual classic dungeons. The divine beasts are just not filling that void. The korok seeds however, it's a fine mechanic but more different puzzles wouldn't have hurt. @NickOfTime90 I really really hated the Divine Beasts. My kid likes to say they were the worst part of the game b/c they were the part of the game that was most like the other Zelda games, and he hasn't really liked any of those. And I agree. And the boss were you had to pick up columns of rock and hold them next to him to electrify him - one of the worst game mechanics I've ever come across in any game ever. And the voice over trying to help was only making it worse. "Hold metal near him" it kept saying. I held a chest near him. I thru shields at him. I held my big metal sword near him. Nothing. Why don't they work but rocks do? Just stupid. Comepltely took me out of the - there are 5 different ways to solve every puzzle and every shine - good feeling all the rest of the game had. If I ever went back and replayed the game I would just skip them. Getting into all of them was fun - sand seals, flying, jet skiing - but once inside, the game just stopped being the game and became something not fun. But still, about 2 bad hours out of 155 is a great game by any measure. I'm expecting a much shorter Mario but just as fun. @rjejr That was definitely the worst boss, personally I thought they were nothing like the old Zelda games. I really felt like they put SO much time in creating the overworld, which is fantastic to say the least. That they just kinda forgot how important good dungeons are. The shrines are fantastic in that way, just too short. I would have liked to have a more classic Dungeon feel in the divine beasts. Would have gone hand in hand perfectly with the open world. Albeit with the creativity for defeating bosses and the multiple solutions for puzzles like in the shrines. @NickOfTime90 Divine Beasts probably would have been better as the old big multifloored dungeons. Did seem weird the game didn't have any. Not a one. Needed more cuckoos overall. Don't think Champions Ballad will have one either but I guess we can cross our fingers. Trial of the Master Sword sort of felt like a dungeon, thought I couldn't get past level 12 or so, not that I tried much. That 1 island w/ the 3 puzzles on it was pretty cool, probably as close as the game got to a dungeon. Can't remember the name, near the middle on the far right. You'd know it if you played it. @rjejr I'm hoping for one. You mean eventide island, where you are stripped from al your stuff? Yeah lets go with that one, I'm not good with names, but the getting stripped of all your stuff rings a bell. I don't think I had much difficulty doing it, but the island made it feel like a self enclosed dungeon area. They could have done something like that in each area - cave in the snowy mountains, oasis in the desert - instead of the mazes, though the area under the one with all of the Guardians was fun once I was way OP. Now I'm really looking forward to the DLC. @MegaTen I hope to God that it isn't the same kind of reward. That was the biggest waste of my time. I got a golden seed that looks like a golden pile of poo! I wouldn't think they would do that but who really knows anymore.